Have ya’ll heard of the #kindnessrocksproject? It’s a movement to spread happiness, hope and inspire others to do the same. 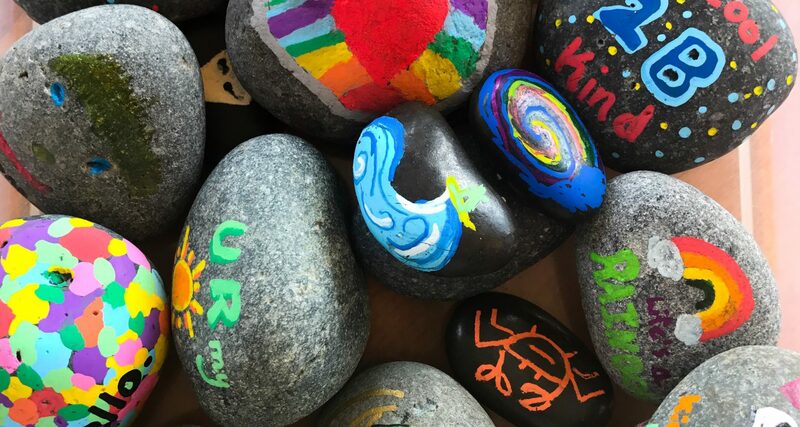 You decorate everyday rocks with drawings and quotes to brighten someone’s day that might need a smile. 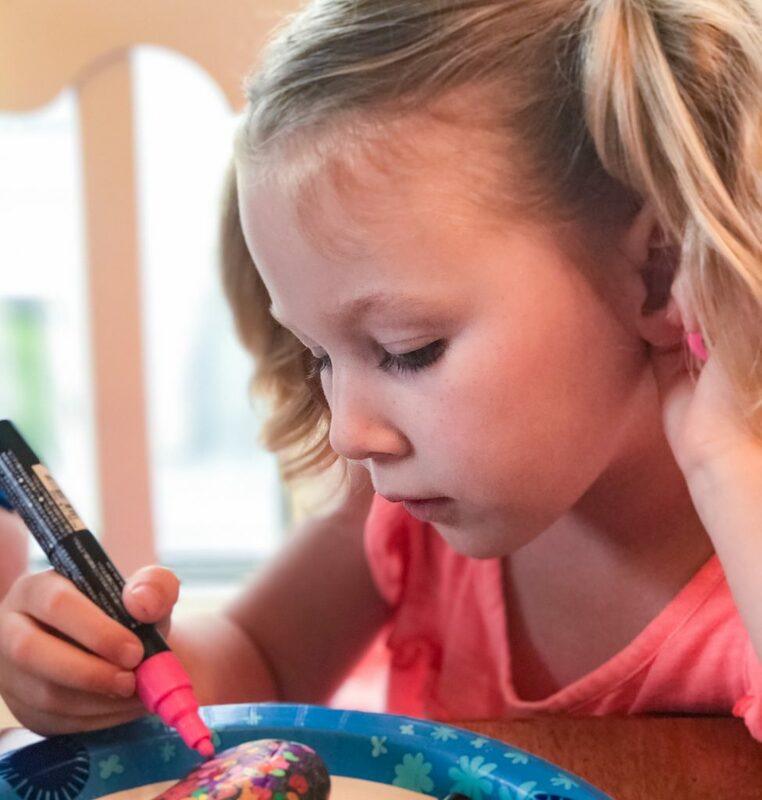 Today was filled with raindrops and stir crazy kiddos so we decided to jump on the kindness rocks train to brighten up the day. We used large river rocks that we purchased from a stone supply company. You can easily find them at your local hardware store near the landscaping supplies or the craft store near the floral supplies. 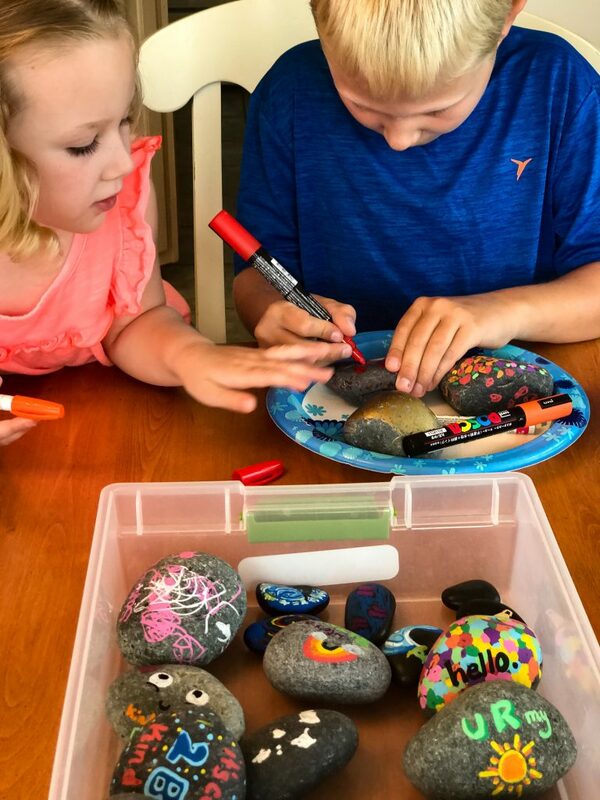 We used a couple of different types of paint pens to decorate the rocks. 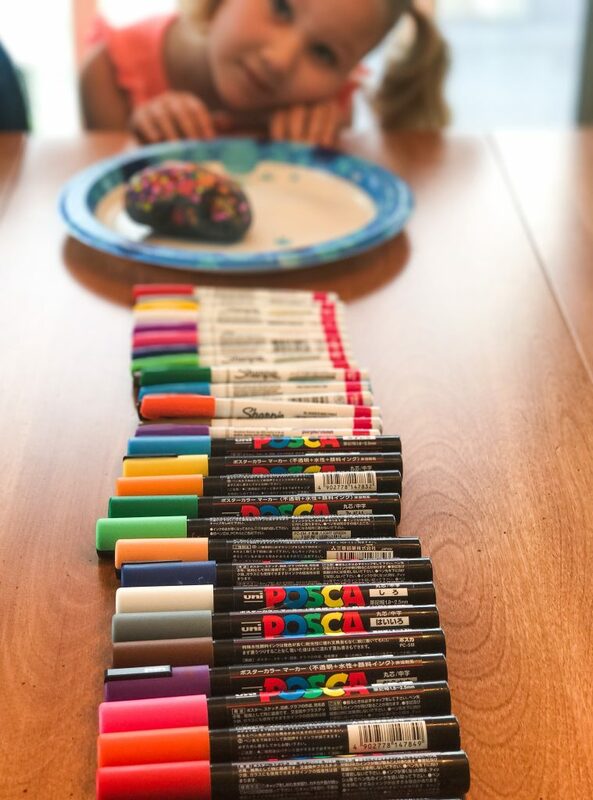 We loved working with the Sharpie paint pens and these Uni-posca pens. Once all of the artwork has dried completely, we suggest getting some that are medium point for coloring and some that have a fine point for writing and detailing. 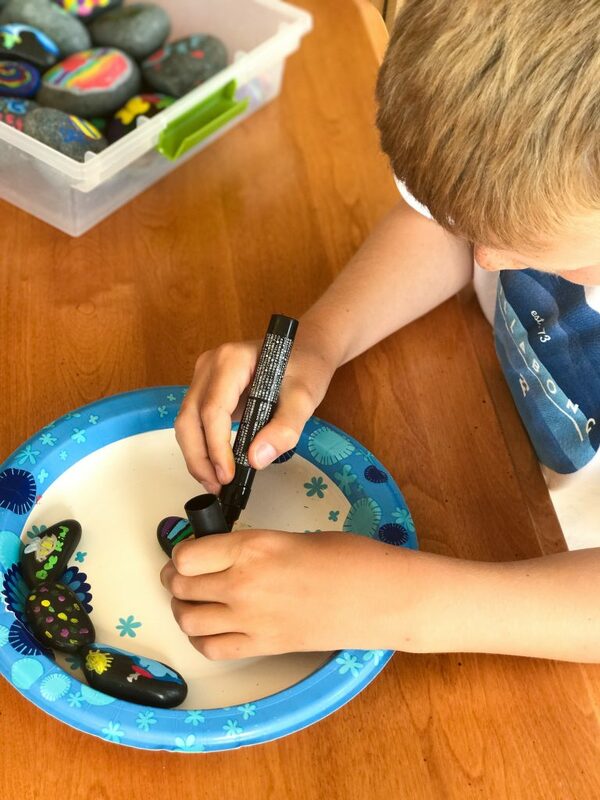 Most of our paint pens had a larger tip that made fitting phrases on the rocks a little more difficult for smaller hands. 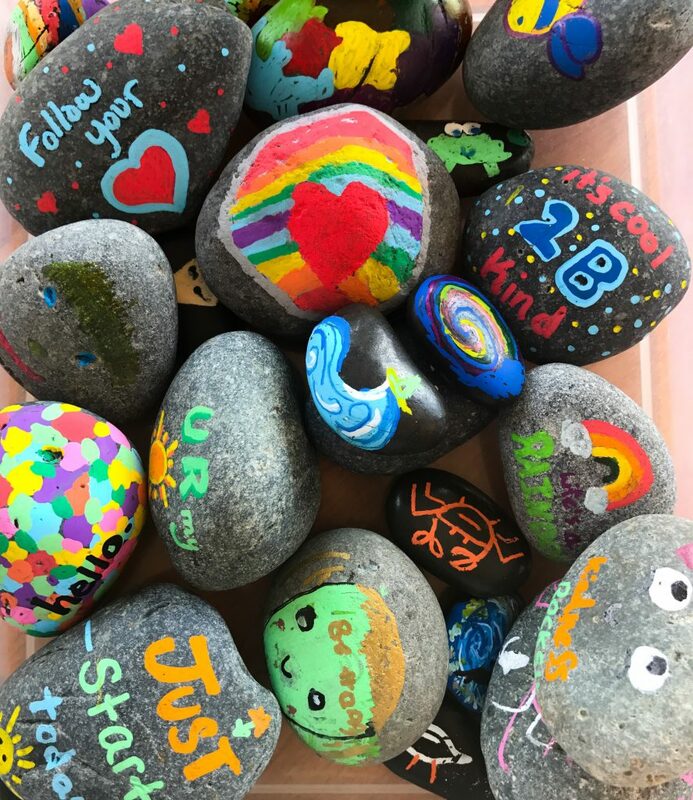 You can also add #kindnessrocksproject or a hashtag of your own on the back of the rocks so you can track who has found your rock. We suggest sealing the rocks with a clear sealant to protect them from the elements. We used the Krylon UV-Resistant Clear Matte acrylic spray. Make sure you spray them in a well ventilated area and let them dry before handling. Once your beautiful rocks have dried it’s time to “hide” them. Pay attention to places such as National Parks and Forests where they have a LNT (Leave No Trace) policy for visitors. When in doubt, always ask permission before leaving your little inspirational works of art. Have fun spreading the love! !